Anas “Andy” Shallal is an artist and social entrepreneur. He was born in Iraq and moved to Washington DC with his family in 1966. 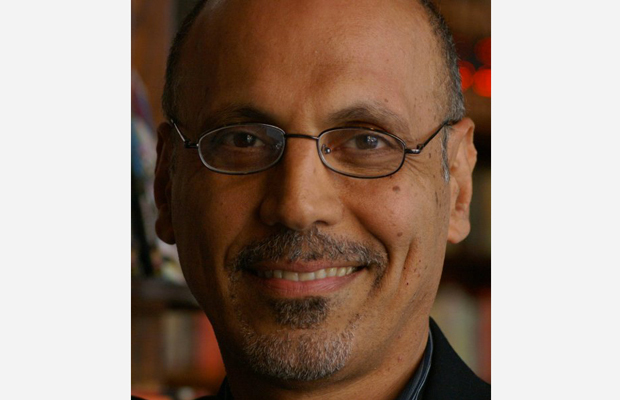 He is the founder of Busboys and Poets, a restaurant, bookstore, fair trade market and a community where racial and cultural connections are consciously uplifted; A space where art, culture and politics intentionally collide; and A place to feed your body, mind and soul. Busboys and Poets is named after the great poet Langston Hughes, who was known as the “busboy-poet”. Since its inception Busboys and Poets has been a magnet for book talks, community gatherings, panel discussion and networking. Currently there are 4 Busboys and Poets in DC, MD and VA. In the summer of 2009, Shallal opened Eatonville Restaurant, a southern themed restaurant with artwork, murals and food that pays homage to Zora Neale Hurston. Shallal’s businesses are B Corporations that adhere to sustainable business practices. He has received numerous awards including the Mayor’s Arts Award and the Mayor’s Environmental Award.